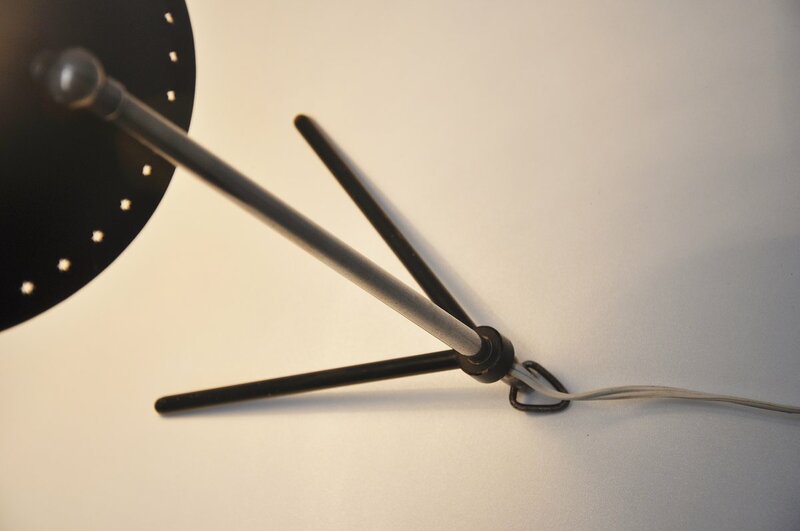 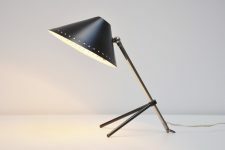 Dutch iconic table lamp desigbed by H. Busquet for Hala Zeist, Holland 1955. 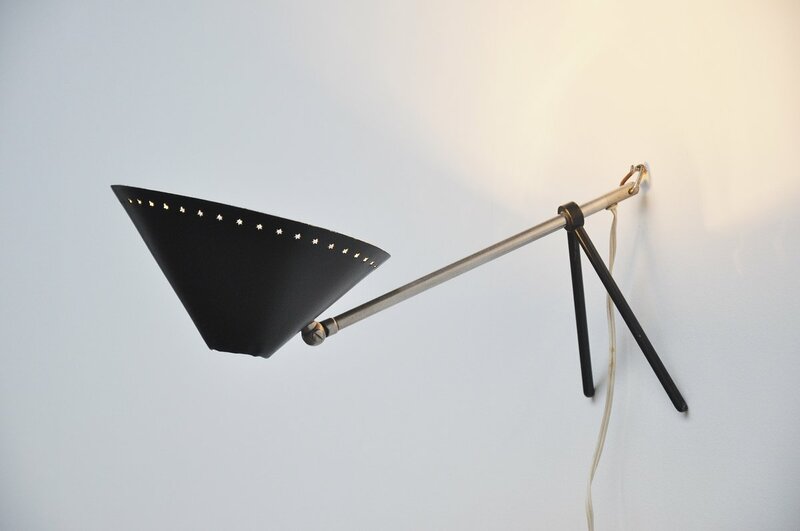 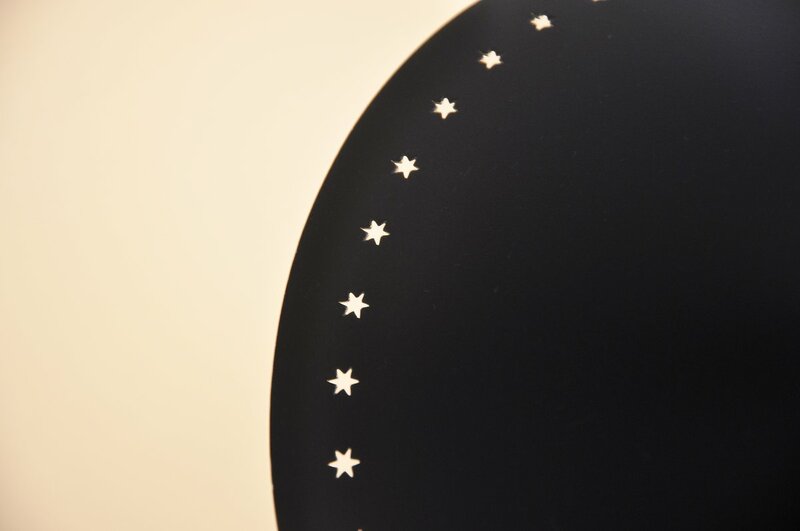 This table lamp is a Dutch design icon for sure, made in 5 colors and this is a black version. 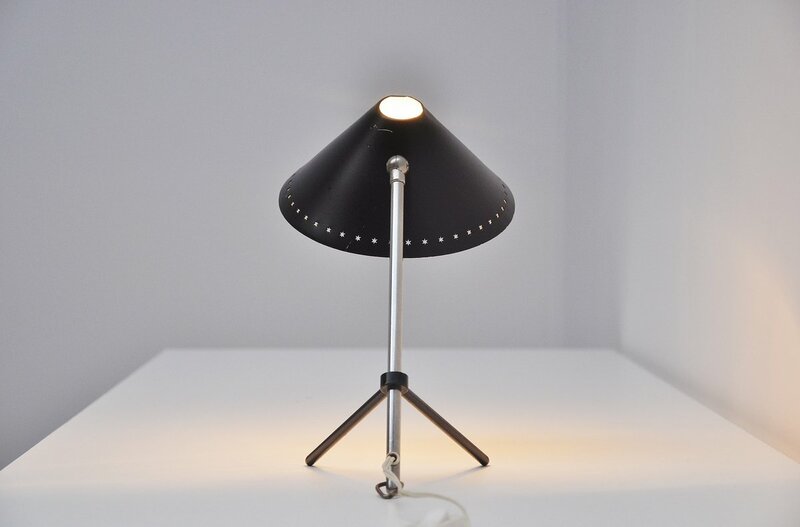 Adjustable in height and the shade has a die cut dot pattern all around the rim. 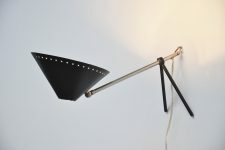 This lamp could also be used as wall lamp using the hook at the and of the bar. 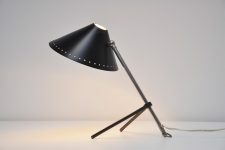 Multifuctional table lamp that fits any needs.